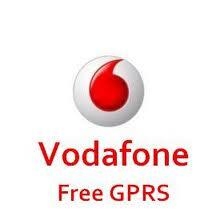 Vodafone one of the most largest telecommunication company having millions of users. Most of the users use Vodafone just for calling because calling rates are lower then other company and side by side you can use free Internet on Vodafone . Create new message and type "DCREDIT" and send it to 144 and you will be getting 40MB free. Enjoy Free GPRS....Apply this tricks at your own risk i am not responsible if your money gets deducted and please check your balance frequently. Since tricks may not work in other state.